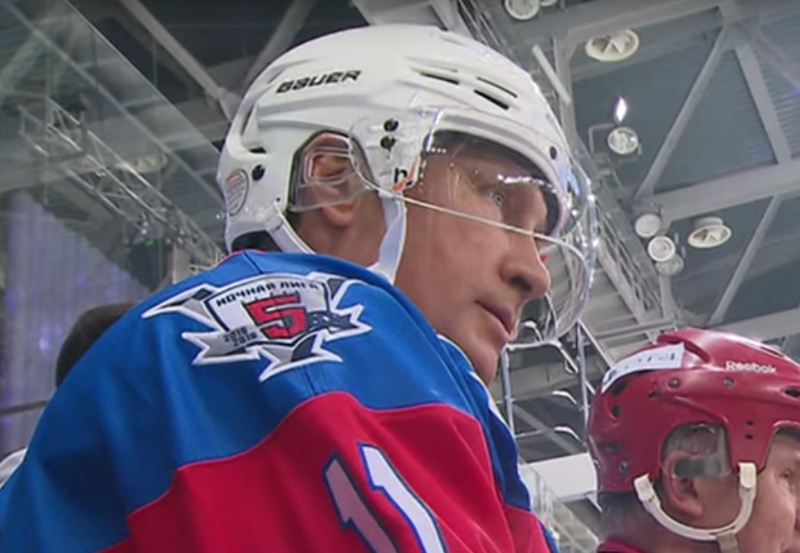 From time to time, video emerges out of Russia showing President Vladimir Putin scoring an insane amount of goals in a hockey game. Of course, this means everyone on the ice stops moving while the 63-year-old tries his best, and lets the man do whatever he wants. For his birthday yesterday, Putin visited Sochi and laced up the skates, joined by several Russian-born NHL stars in front of an eager crowd. Putin scored 7 goals in the match-up (that’s not a typo), and you better believe that the crowd really went nuts after each of them. I love watching the charade of Putin scoring endless goals in these hockey games, and the pageantry of everyone on the ice dumbing their skills down temporarily to an infantile level. To Putin’s credit, he’s a good skater; I played college hockey and it’s easy to discern the difference. I don’t doubt that the man has put in some work on the ice, but the idea of letting your President endlessly score — perhaps out of fear — is made funnier by the fact that RT seems to always makes highlight packages of these achievements. Of course, our own President is known to hit the basketball court; however, it’s hard to imagine that outgoing Secretary of Education Arne Duncan lets President Obama score 70 points a game. At the very least, Obama doesn’t hold his games in an arena for an adoring public to spectate and cheer.